I layered/dabbed one coats of glitter over Rage and seriously was in love! What a perfect quick and easy mani for Valentines! I would have never thought of layering a glitter over a chrome but I honestly did not want to remove this polish combo! Once it started chipping I even tried to fill in the chips with glitter and polish lol. Ultimately I did have to remove it once the chipping started again. 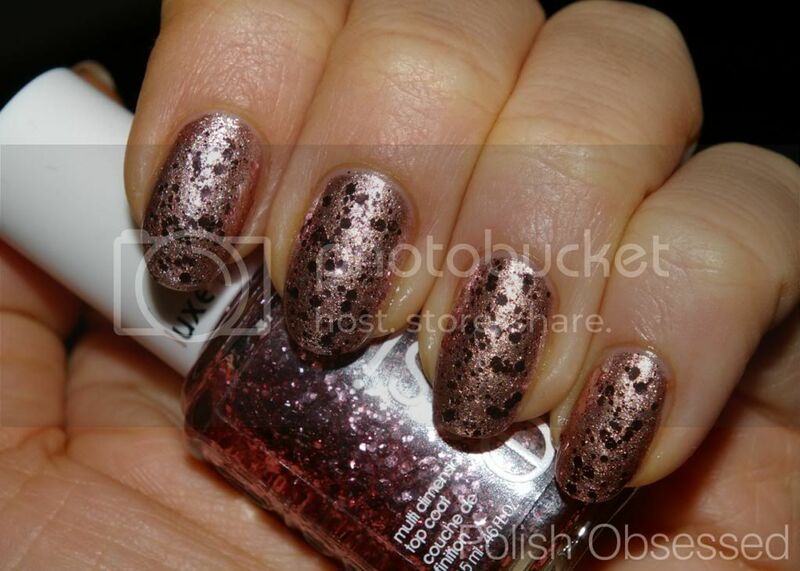 I feel like I have been bored lately with my polish choices and this one really got me excite again! Definitely my favourite mani of the year so far! Thanks! My thoughts exactly, I would have never come up with this combo on my own!